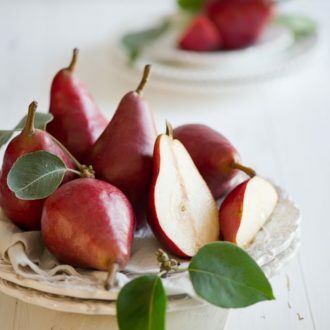 When heirloom apples arrive to the markets, we know Autumn has arrived. Southern California might be scarce with decidious, fall-colored leaved trees, but the slight chills and touch of dry air to the nose is a clear sign that Summer has retreated to Fall. An annual tradition for us during the last week of September is take a much needed day off and trek up to Solvang and the San Ynez Valley, our favorite local apple picking regions. This area is our Autumn playground where we go hopping from one apple grove to another, searching for crispy, sweet varieties of apples to fill our bags. Best part about these apple orchards is that you only pay for what you put in the bag, so it’s not unusual for us to chomp away on apples plucked from their branches before we check-out. Samples are included all day. 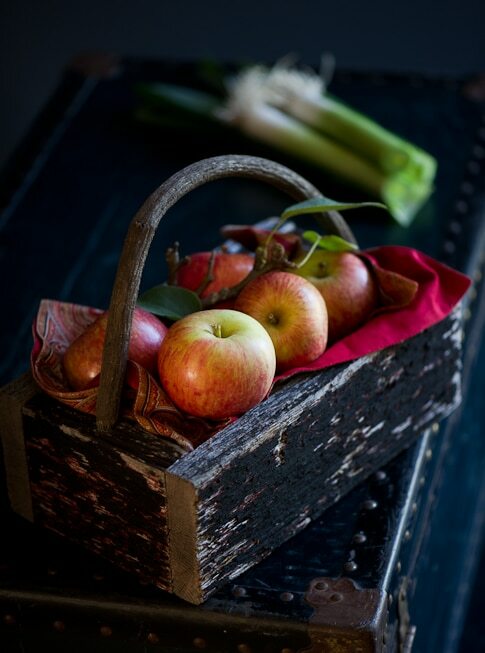 With apple season in full swing, our kitchen is always decorated with gorgeous apple specimens from green, to pink, to red and everything in between. 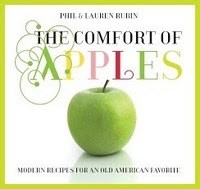 The timing could not have been any better this year because of a new cookbook, The Comfort of Apples, that was sent to us from the amazing cooking instructor couple Phil and Lauren Ruben of Two Peas and a Pot. 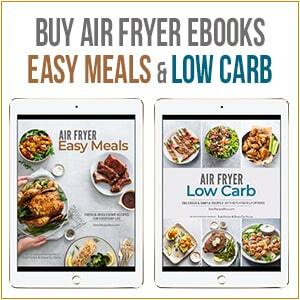 The Comfort of Apples cookbook is brimming with seasonal apple recipes from comforting savories to simple, yet elegant desserts. With Fall Fest in full swing, it wasn’t difficult to be inspired by apples this week, especially with The Comfort of Apples recipes to choose from. The flavor of broiled leeks are fabulous and to add the delicate touch of a sweet and tangy apple vinaigrette is pure genius. Actually, we can’t decide which is “more genius”, the apple vinaigrette and charred leek combo, or just making the vinaigrette from fresh apples. 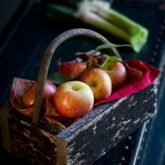 When blended together, the apple acts as a perfect emulsifier between the oil and vinegar, and the apple’s sweet-tart flavor adds a special flavor component to the vinaigrette. The flavor of the vinaigrette can vary as much as the different apples varieties tastes please the palate. And it makes the freshly made vinaigrette seem more autumn apropos. 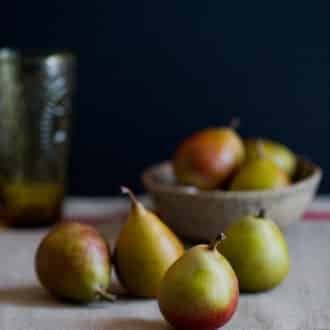 Vinaigrettes made with lemon, lime or other citrus are so beautifully bright and summery but the apples give the dressing a more rounded palate. It’s kinda like changing up from a Sidecar as the evening cocktail, to a Calvados Sidecar. Both are delicious, but they each have their perfect season. This recipe has so much wonderful flavor and texture, it's the perfect side dish for any occasion. The apple vinaigrette is equally versatile for any salad. Combine all ingredients except for salt and pepper in a blender (garlic, shallot, apple, balsamic vinegar, and olive oil). Pulse well until smooth. Season with salt and pepper to taste. Bring pot of salted water to boil. Fill large bowl with ice water. Cut each of the washed leeks in half, stopping at the root so the leek remains intact. Rinse well again. 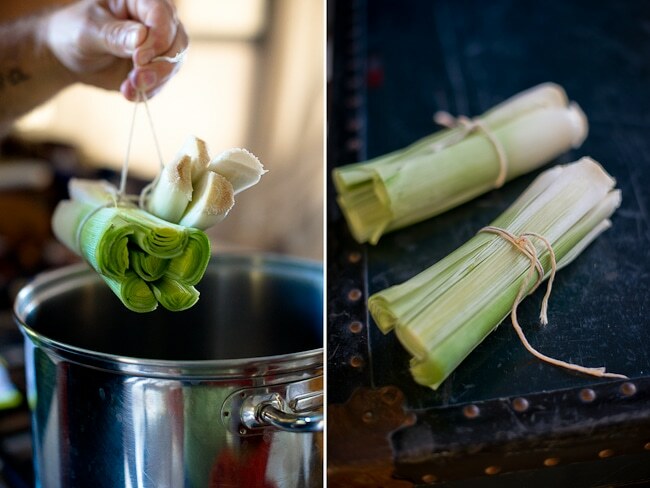 Tie the leeks into snug bundles of 4 with kitchen twine. Boil leeks for about 6 minutes or until tender and immediately transfer to ice bath to cool. Once cooled, remove and drain the leeks, then untie the string. **Pat the leeks dry. 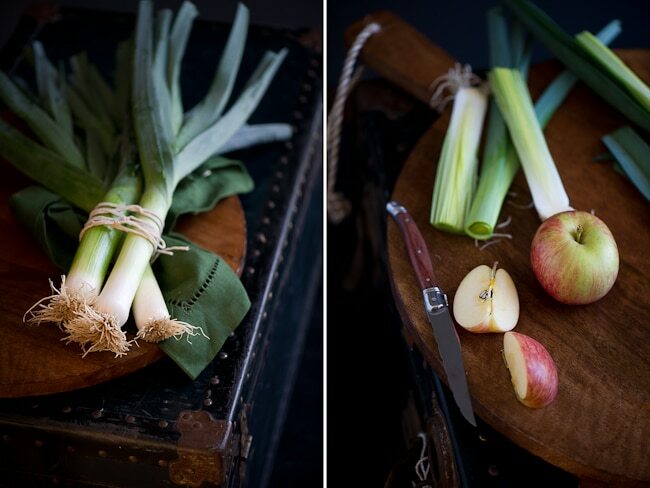 Cut leeks in half lengthwise. Preheat the broiler to high. Place the oven rack about 6-inches below the top of the oven. Oil a baking sheet pan with about 2 tablespoons of olive oil. 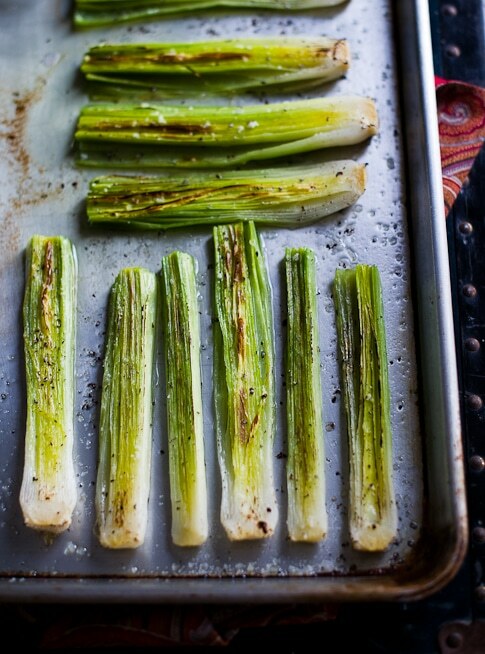 Line the leek halves in a single layer on the baking sheet pan, cut side up and drizzle with remaining olive oil. Season generously with salt and pepper. Broil until lightly charred, about 6 minutes. Serve the leeks on a platter drizzled with the vinaigrette. Just made this for dinner and it was quite good. I steamed the leaks as I didn’t have string and didn’t want them to come apart in the water, and it worked okay. The vinaigrette was fantastic and I will definitely put it into my salad dressing rotation. I love leeks broiled or baked. 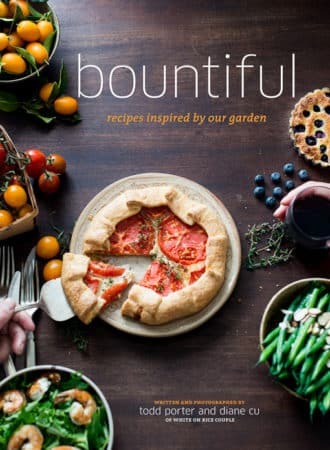 This vinaigrette sounds amazing! Yum! This sounds wonderful! I’m going to have to try it! BTW – your photos are amazing! Such a great eye for composition. I love the one of the apple in the basket. It’s stunning! 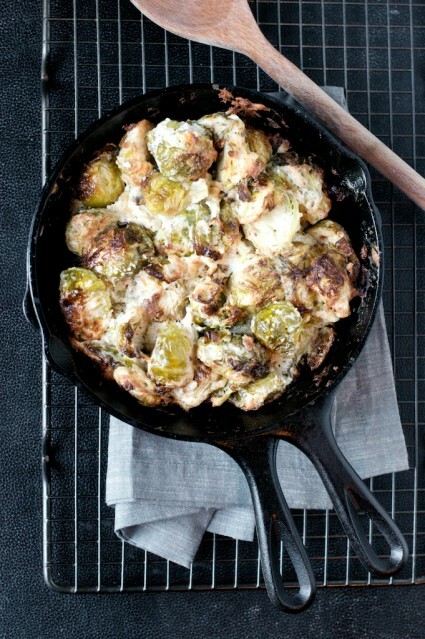 This looked so good I wanted to make it but didn’t have leeks. Made it with butternut squash and apple slices and added dried sage to the dressing. The dressing really made the dish. Lovely post. The pictures are gorgeous! What a fascinating combination. 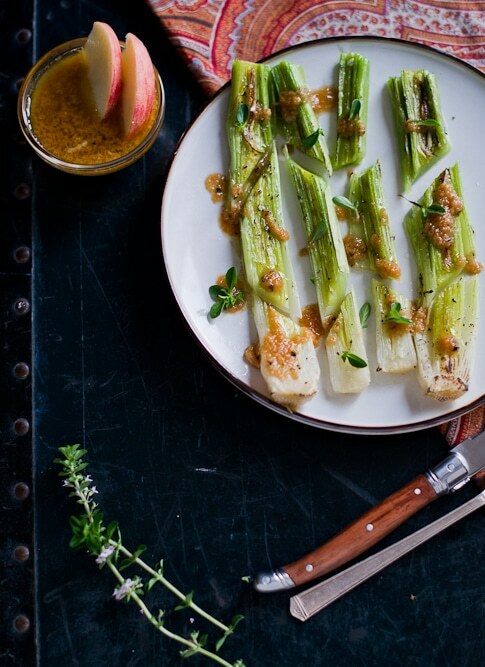 I love leeks any which way, but charred with an apple vinaigrette sounds particularly lovely. To celebrate apples this week for fall fest, and for my husbands birthday, I went for sweet and traditional. I made an apple and almond crumb tart. This recipe has me drooling! Here is my apple recipe contribution; Pork tenderloin with an apple butter rub with apple salsa. 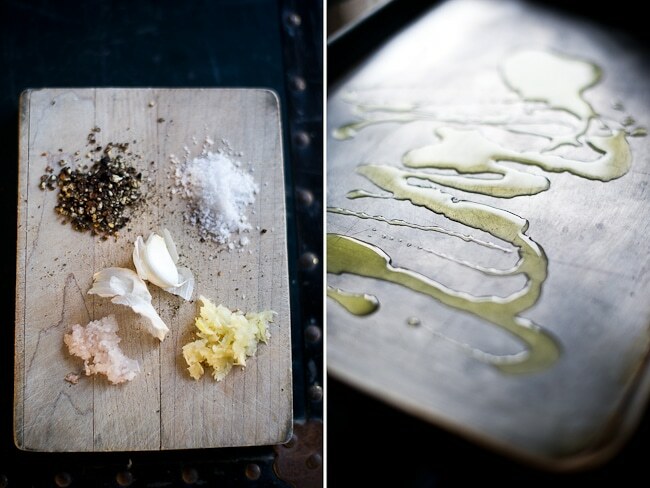 I love the simplicity of this vinaigrette. In fact, I’m eating it right now…. well, actually, I’m slurping off my plate. What a great recipe! It’s now on my must-try list. What a great idea – apple vinaigrette! And I’ve even got a plot of leeks I’ve been wondering when I’ll get inspired to harvest. Looks like I’ve found my answer! Apple picking, apple butter, and living in Maine. All reasons I love Fall. Not to be ungrateful for the wonderful post, but please, I beg you…. Love the rustic vibe of your pics. I had fun making this recipe for the fall fest. 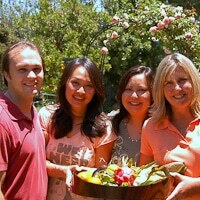 We also used to take trips up to the Santa Ynez Valley with our kids when they were younger to pick apples. Now that they’re older and busy with other activities, it’s more difficult to find the time. It’s unfortunate, because we really enjoyed doing it. The apples from that region are some of the best we’ve ever tasted (right on par with the wines). I can’t think of a better way to spend an autumn weekend than to go wine tasting and apple picking with the family! 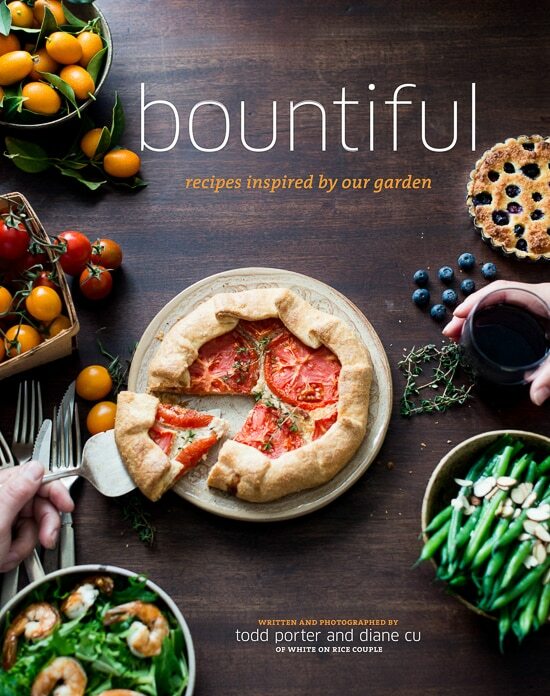 This looks fabulous. It’s like an adult/gourmet version of celery and peanut butter. Love it! That is a wonderful recipe. I made a few things for Fall Fest apple week, but then I am always making something with apples. Hi WORC! This is just a beautiful post! I was reminded of my childhood in New England, where we looked forward to our annual apple picking day every fall. We would eat apples all day long as we climbed the trees to pluck and pick. Can you believe I’ve never had leeks? I live in a bubble! I think this will be a great way to try them. I made pumpkin & apple shortcake last week! 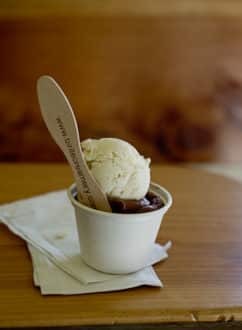 I love the recipe, but I love even more the idea of the train case in the photo, gotta try it! I have two sitting around, what a great use. I just printed out the recipe. After your description, I just can’t help myself–we’re going to be having it for dinner with a roasted chicken! This recipe looks really interesting. I haven’t done much with leeks in the past, and I’ll look forward to trying this. One of my most memorable soups was an apple-leek, so I already know I’m going to love this flavor combination. Thanks for hosting Fall Fest! My contribution just might be the simplest: Classic Homemade Applesauce. It’s part of my week-long series on Canning 101. Enjoy!